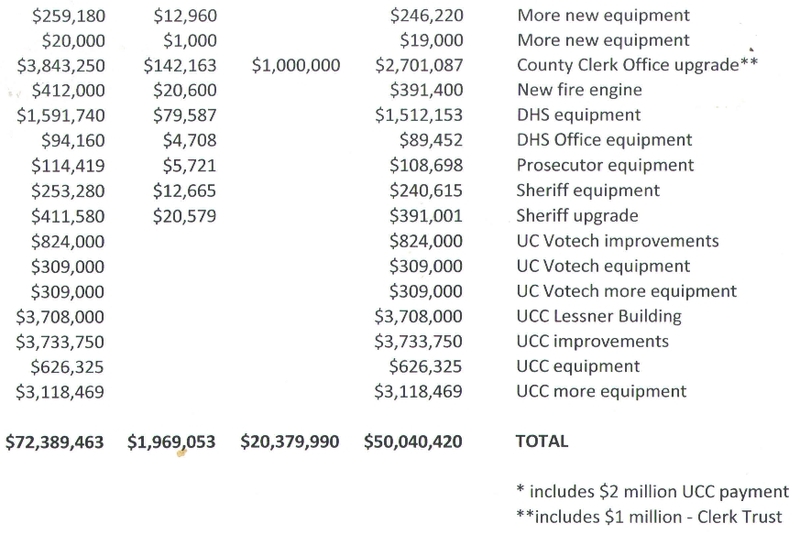 787-2017: BOND ORDINANCE TO AUTHORIZE THE MAKING OF VARIOUS PUBLIC IMPROVEMENTS AND THE ACQUISITION OF NEW ADDITIONAL OR REPLACEMENT EQUIPMENT AND MACHINERY, NEW ADDITIONAL FURNISHINGS, NEW COMMUNICATION AND SIGNAL SYSTEMS EQUIPMENT, NEW INFORMATION TECHNOLOGY AND TELECOMMUNICATIONS EQUIPMENT AND NEW AUTOMOTIVE VEHICLES AND A NEW FIRE ENGINE, INCLUDING ORIGINAL APPARATUS AND EQUIPMENT, IN, BY AND FOR THE COUNTY OF UNION, STATE OF NEW JERSEY, TO APPROPRIATE THE SUM OF $72,389,463 TO PAY THE COST THEREOF, TO APPROPRIATE STATE GRANTS, MONEYS FROM THE COUNTY CLERK’S TRUST ACCOUNT AND A CONTRIBUTION FROM UNION COUNTY COLLEGE, TO MAKE A DOWN PAYMENT, TO AUTHORIZE THE ISSUANCE OF BONDS TO FINANCE SUCH APPROPRIATION AND TO PROVIDE FOR THE ISSUANCE OF BOND ANTICIPATION NOTES IN ANTICIPATION OF THE ISSUANCE OF SUCH BONDS. Mayor Woodruff is Questioned about Taxpayer Support for Doubling Town’s Debt. 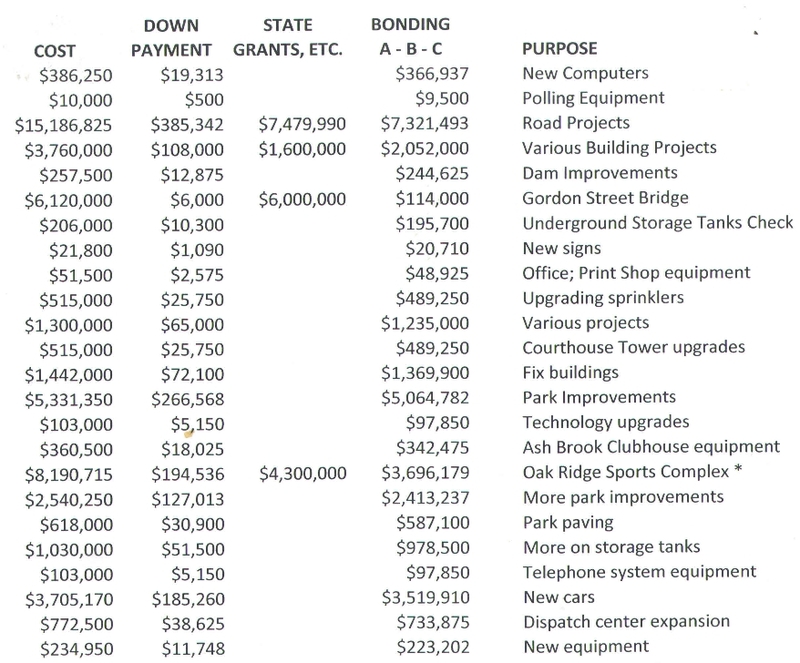 The Berkeley Heights Town Council is pushing forward with a $33,000,000 municipal complex that seems to have very little support from the taxpayers. During the February 7, 2017 Berkeley Heights Town Council meeting a $28,000,000 bond ordinance was approved for this project. The $28,000,000 will more than double Berkeley Heights debt. Under normal circumstances, the voters in town would be able to petition for a referendum under either the Home Rule Act of Faulkner Act to put the approval of this bond to a vote. However, the Town Council chose to bond under the Local Redevelopment and Housing Law which denies the residents their right to a referendum. During an executive session, a closed door meeting, the town discussed a non-binding referendum but it was decided that it would cause a “moral dilemma”. A non-binding referendum is one way for the town to gauge the resident’s interest in a project. During a discussion period on Feb 7, a resident asked the mayor: “How do you know that the people of this town want to double the town’s debt?”. The mayor stated that they didn’t. Local officials are elected to make decisions for the town. However large decisions with long-term impacts on property owners should not be able to move forward by the will of a very small number of people, elected or not. Long after they have left the council the town will still be burdened with this debt ( 27-40 years ). Mr. Bergen discussed a wide variety of topics with The Leader’s editors, from the county’s $580-million debt to initiatives ranging from recreation and county emergency dispatch services to an animal shelter. The more than half a billion dollars of debt includes a $59-million general improvement bond that was expected to be approved Thursday, August 18. The freeholder board has adopted general improvement bond ordinances in nine of the last 11 years during the summer. This year’s approval is by far the biggest in that time, exceeding 2011’s $49.6 million. It is $15 million more than last year’s. This year’s bond includes $8 million more for parks and recreation, $4 million more for Union County College and $4 million more for the Gordon Street Bridge in Roselle over the freight rail tracks linking North and South Avenues. 776-2016 BOND ORDINANCE TO AUTHORIZE THE MAKING OF VARIOUS PUBLIC IMPROVEMENTS AND THE ACQUISITION OF NEW ADDITIONAL OR REPLACEMENT EQUIPMENT AND MACHINERY, NEW ADDITIONAL FURNISHINGS, NEW COMMUNICATION AND SIGNAL SYSTEMS EQUIPMENT, NEW INFORMATION TECHNOLOGY AND TELECOMMUNICATIONS EQUIPMENT AND NEW AUTOMOTIVE VEHICLES, INCLUDING ORIGINAL APPARATUS AND EQUIPMENT, IN, BY AND FOR THE COUNTY OF UNION, STATE OF NEW JERSEY, TO APPROPRIATE THE SUM OF $58,933,154 TO PAY THE COST THEREOF, TO APPROPRIATE STATE GRANTS, TO MAKE A DOWN PAYMENT, TO AUTHORIZE THE ISSUANCE OF BONDS TO FINANCE SUCH APPROPRIATION AND TO PROVIDE FOR THE ISSUANCE OF BOND ANTICIPATION NOTES IN ANTICIPATION OF THE ISSUANCE OF SUCH BONDS. Union County freeholders introduced a $58.9-million-general-purpose bond ordinance last Thursday, by far the biggest ticket item on the 11-page agenda….The bond was $15 million more than a similar ordinance passed last year and the largest amount of what has become an annual summer action over more than a decade by the freeholders, eclipsing the $49.6 million bond adopted in 2011. 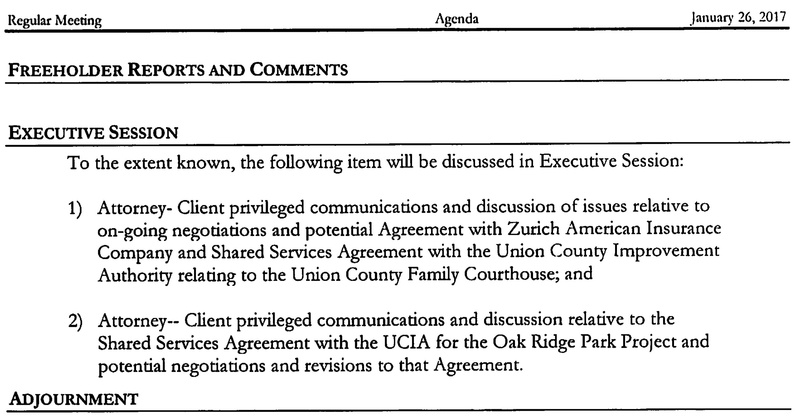 The only details…were included in the printed agenda, and read aloud….The wording was similar to past years. A public hearing and final vote is scheduled for Thursday, August 18. Looking over the Ordinance itself provides no more detail as the word ‘various’ is appended to practically every line item.